It goes without saying that Gewürztraminer is the most typical of South Tyrolean white wines. It is here that the wine originated, getting its name the lower vallery wine village of Termeno. This wine is characterised by an intense yellow colour and the unmistakable aroma of roses and mixed spices just like pepper, nutmeg and cloves. It is equally as convincing on the palate where it lingers, leaving behind intense, unforgettable impressions. This white wine is extremely well suited to be served as an aperitif or as an accompaniment to strong-flavored, spicy dishes made fish, lobst and liver pâté. Served chilled, it can be drunk young, yet also ages well. VINEYARDS: Different vineyards in Appiano Monte, situated on 450 - 550 m a.s.l, with chalky and loamy soils. The vines are 10 - 25 years old. VINIFICATION: Maceration of the grapes and careful pressing. Low temperature fermentation in the stainless steel tanks, where the wine stays on the yeast for 6 months. "Decanter World Wine Awards" has rated the wine "St. Michael-Eppan San Michele Appiano Sanct Valentin Gewurztraminer Sudtirol - Alto Adige, Trentino-Alto Adige, Italy" from the vintage 2015 on 01.01.2017 with 86 of 100 points. "Falstaff Magazin" has rated the wine "St. Michael-Eppan San Michele Appiano Sanct Valentin Gewurztraminer Sudtirol - Alto Adige, Trentino-Alto Adige, Italy" from the vintage 2015 on 06.07.2016 with 92 of 100 points. "Falstaff Magazin" has rated the wine "St. Michael-Eppan San Michele Appiano Sanct Valentin Gewurztraminer Sudtirol - Alto Adige, Trentino-Alto Adige, Italy" from the vintage 2014 on 23.06.2015 with 92 of 100 points. "Vinum Wine Magazine" has rated the wine "St. Michael-Eppan San Michele Appiano Sanct Valentin Gewurztraminer Sudtirol - Alto Adige, Trentino-Alto Adige, Italy" from the vintage 2013 on 01.10.2014 with 13 of 20 points. "Falstaff Magazin" has rated the wine "St. Michael-Eppan San Michele Appiano Sanct Valentin Gewurztraminer Sudtirol - Alto Adige, Trentino-Alto Adige, Italy" from the vintage 2010 on 24.06.2014 with 92 of 100 points. "Falstaff Magazin" has rated the wine "St. Michael-Eppan San Michele Appiano Sanct Valentin Gewurztraminer Sudtirol - Alto Adige, Trentino-Alto Adige, Italy" from the vintage 2013 on 24.06.2014 with 91 of 100 points. "Wine Spectator" has rated the wine "St. Michael-Eppan San Michele Appiano Sanct Valentin Gewurztraminer Sudtirol - Alto Adige, Trentino-Alto Adige, Italy" from the vintage 2012 on 31.05.2014 with 89 of 100 points. "Wine Enthusiast" has rated the wine "St. Michael-Eppan San Michele Appiano Sanct Valentin Gewurztraminer Sudtirol - Alto Adige, Trentino-Alto Adige, Italy" from the vintage 2012 on 08.01.2014 with 88 of 100 points. "Falstaff Magazin" has rated the wine "St. Michael-Eppan San Michele Appiano Sanct Valentin Gewurztraminer Sudtirol - Alto Adige, Trentino-Alto Adige, Italy" from the vintage 2012 on 05.07.2013 with 93 of 100 points. "Vinous Antonio Galloni" has rated the wine "St. Michael-Eppan San Michele Appiano Sanct Valentin Gewurztraminer Sudtirol - Alto Adige, Trentino-Alto Adige, Italy" from the vintage 2011 on 01.05.2013 with 90 of 100 points. "Wine Enthusiast" has rated the wine "St. Michael-Eppan San Michele Appiano Sanct Valentin Gewurztraminer Sudtirol - Alto Adige, Trentino-Alto Adige, Italy" from the vintage 2011 on 07.01.2013 with 88 of 100 points. "Luca Gardini" has rated the wine "St. Michael-Eppan San Michele Appiano Sanct Valentin Gewurztraminer Sudtirol - Alto Adige, Trentino-Alto Adige, Italy" from the vintage 2011 on 02.11.2012 with 88 of 100 points. "Falstaff Magazin" has rated the wine "St. Michael-Eppan San Michele Appiano Sanct Valentin Gewurztraminer Sudtirol - Alto Adige, Trentino-Alto Adige, Italy" from the vintage 2011 on 11.07.2012 with 93 of 100 points. "Wine Enthusiast" has rated the wine "St. Michael-Eppan San Michele Appiano Sanct Valentin Gewurztraminer Sudtirol - Alto Adige, Trentino-Alto Adige, Italy" from the vintage 2010 on 07.01.2012 with 88 of 100 points. "Wine Spectator" has rated the wine "St. Michael-Eppan San Michele Appiano Sanct Valentin Gewurztraminer Sudtirol - Alto Adige, Trentino-Alto Adige, Italy" from the vintage 2010 on 31.10.2011 with 90 of 100 points. "Vinous Antonio Galloni" has rated the wine "St. Michael-Eppan San Michele Appiano Sanct Valentin Gewurztraminer Sudtirol - Alto Adige, Trentino-Alto Adige, Italy" from the vintage 2009 on 01.09.2011 with 91 of 100 points. "Falstaff Magazin" has rated the wine "St. Michael-Eppan San Michele Appiano Sanct Valentin Gewurztraminer Sudtirol - Alto Adige, Trentino-Alto Adige, Italy" from the vintage 2009 on 15.09.2010 with 93 of 100 points. "Wine Spectator" has rated the wine "St. Michael-Eppan San Michele Appiano Sanct Valentin Gewurztraminer Sudtirol - Alto Adige, Trentino-Alto Adige, Italy" from the vintage 2008 on 31.03.2010 with 92 of 100 points. "Vinous Antonio Galloni" has rated the wine "St. Michael-Eppan San Michele Appiano Sanct Valentin Gewurztraminer Sudtirol - Alto Adige, Trentino-Alto Adige, Italy" from the vintage 2007 on 01.10.2008 with 88 of 100 points. "Wine Spectator" has rated the wine "St. Michael-Eppan San Michele Appiano Sanct Valentin Gewurztraminer Sudtirol - Alto Adige, Trentino-Alto Adige, Italy" from the vintage 2006 on 31.05.2008 with 87 of 100 points. "Wine Spectator" has rated the wine "St. Michael-Eppan San Michele Appiano Sanct Valentin Gewurztraminer Sudtirol - Alto Adige, Trentino-Alto Adige, Italy" from the vintage 2005 on 15.11.2006 with 88 of 100 points. "Wine Enthusiast" has rated the wine "St. Michael-Eppan San Michele Appiano Sanct Valentin Gewurztraminer Sudtirol - Alto Adige, Trentino-Alto Adige, Italy" from the vintage 2002 on 07.01.2003 with 88 of 100 points. 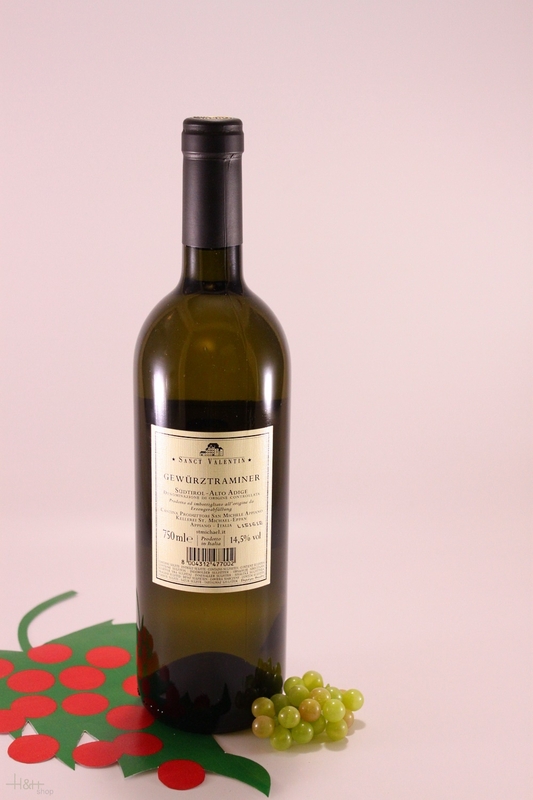 "Stephen Tanzer" has rated the wine "St. Michael-Eppan San Michele Appiano Sanct Valentin Gewurztraminer Sudtirol - Alto Adige, Trentino-Alto Adige, Italy" from the vintage 2006 with 92 of 100 points. 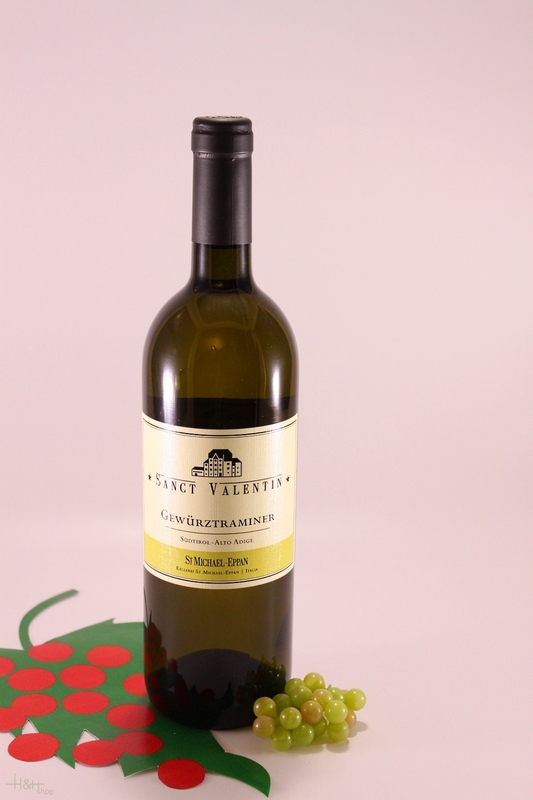 "Stephen Tanzer" has rated the wine "St. Michael-Eppan San Michele Appiano Sanct Valentin Gewurztraminer Sudtirol - Alto Adige, Trentino-Alto Adige, Italy" from the vintage 2009 with 91 of 100 points.